Recently I’ve been thinking of how these art types and qualities relate, coexist and have progressed through history to become separate entities unto themselves. They have diverged to such an extent that works of art today don’t have to contain all of them. Up to the late 19th century works primarily contained all of these characteristics to varying degrees. 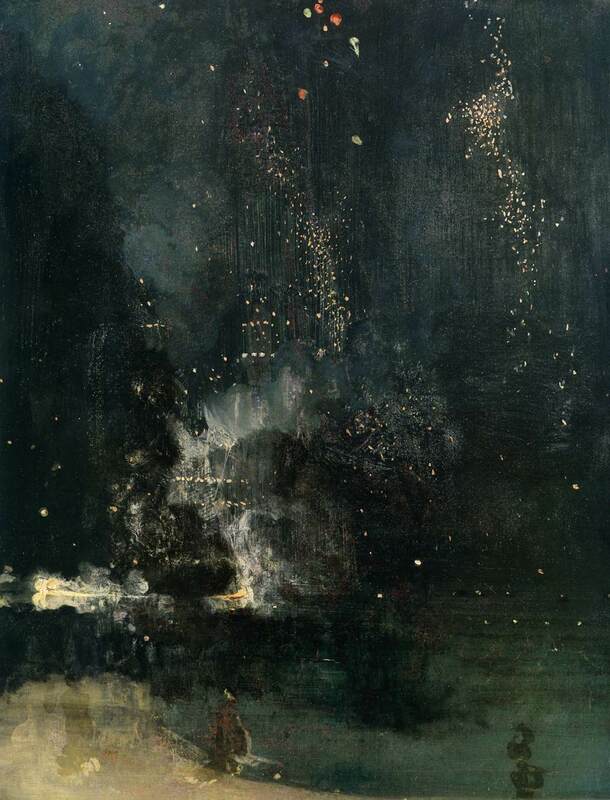 A major shift and hierarchy change occurred in 1875 with James Abbott McNeill Whistler’s Nocturn in Black and Gold-The Falling Rocket. Whistler’s major concern was the importance of the aesthetic. He departed from literal representation and focused on more formal pictorial values. A highly controversial work when exhibited, It is one of the pinnacles of the 19th century English “art for arts sake” movement . Amid major criticism, Whistler’s staunch defense of the validity of aesthetics as the basis for the work, culminating in a libel lawsuit with John Ruskin, cemented his position in history. Nocturns is commonly referred as a launching point for abstraction. 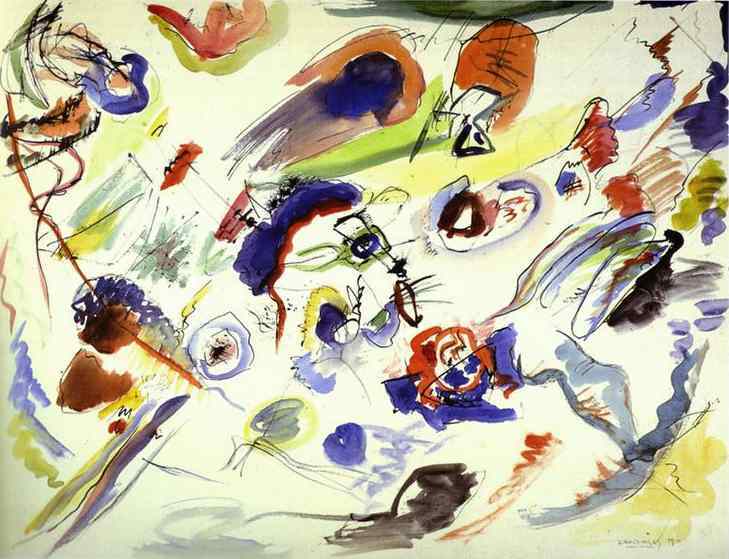 Abstract expressionism became prominent in the mid 20th century, but it was Wassily Kandinsky’s First Abstract Watercolor in 1910 that was the first work to depart completely from representation and be completely abstract. Kandinsky was attempting to portray something spiritual and emotional. He compared his paintings to music. Many subsequent works were actually named “Composition” followed with a number to accentuate this. By releasing art from it’s dependence towards representation Kandinsky opened the door for art to be an object of purpose. 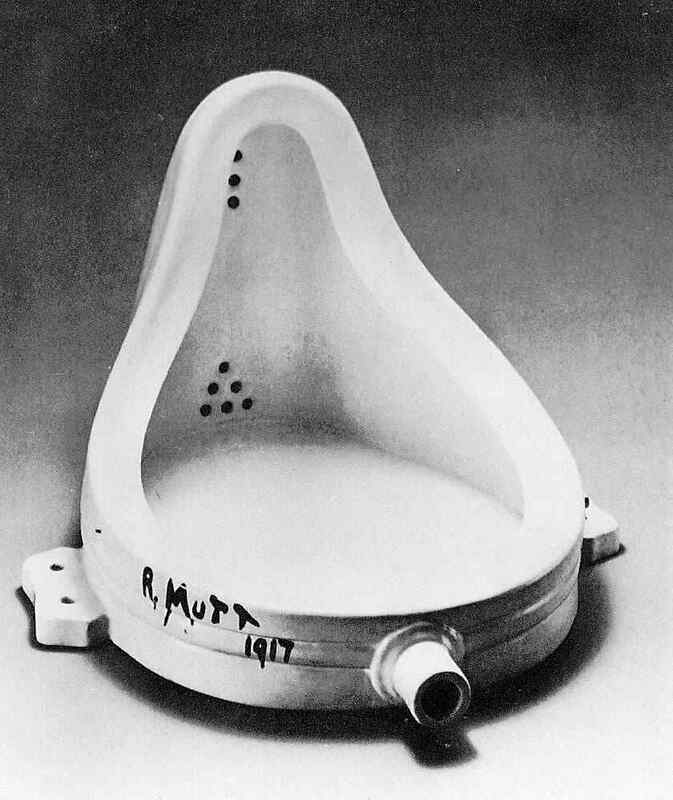 In 1917 Duchamp raised the question of what this purpose was with his piece Fountain. Highly controversial, Fountain questions what art is, does, and whether it even needs to be made by an artist. 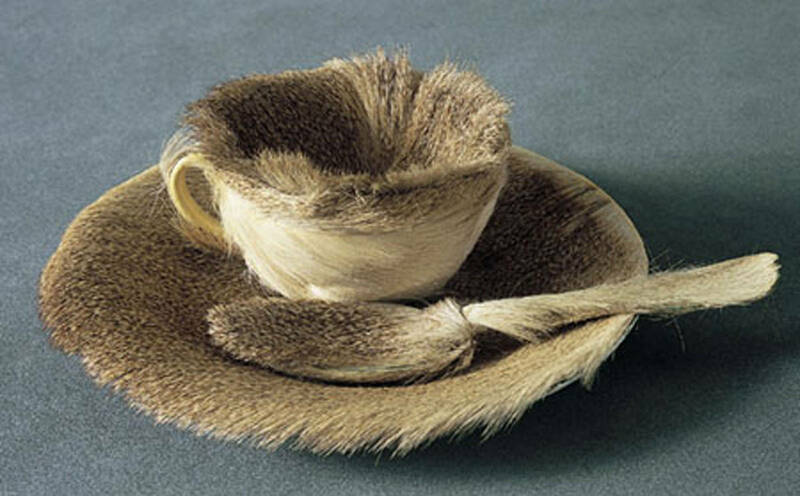 Duchamp’s pure object art proposed things could be seen in a new way and made possible for art to be theory and idea oriented. As Duchamp questioned what art is. Oppenheim questions life and implies thing may not be what they seem. The fur gives a new identity to a familiar object by animating the inanimate. She also raises questions of gender and identity. Through the late 20th century artists have taken the prominence of the idea in different directions. In many cases detaching it from the object altogether and into the realm of performance. 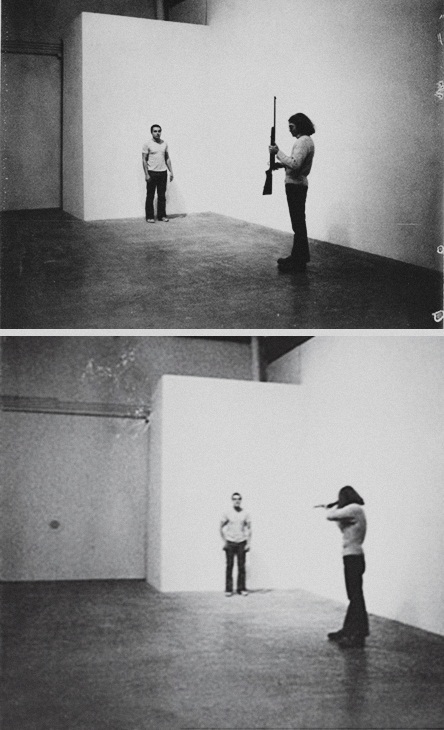 One dramatic example of this is Chris Burden’s 1971 Shoot.